Since the late 80s, Chris Roberts has been taking the most advanced video game platforms available to him and using them to build simulators that allow gamers live out epic space battles that put Star Wars to shame. 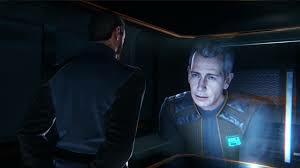 As graphics get better, so does his work – Freelancer was a masterpiece in 2003 when it released on PC and since that time, Roberts has focused on cinematic work whilst those of us who didn’t get sucked into Eve Online, have spent fifteen years living in wait for him to return to gaming. 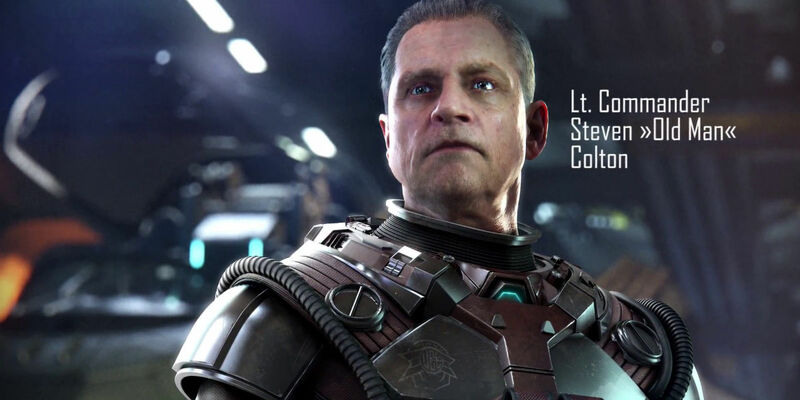 Squadron 42 forms part of Roberts’ glorious return to gaming, a story-driven RPG set in the Star Citizen universe, that is essentially Wing Commander and Freelancer on steroids but with modern day graphics and AAA budgets. The icing on the cake is the stellar cast he’s assembled. One that is worthy of a blockbuster movie. It feels like everything Roberts has learned in the past 30+ years from his work in film and gaming has lead to this project. Since the overwhelming success of the Kickstarter campaign, Chris has been attracting top talent to the groundbreaking ambitious project. Ultimately responsible for delivering two games, S42 and an open world MMO called Star Citizen, Chris formed Cloud Imperium Games. With offices in the US and Europe, this intrepid crew holds the dreams of many gamers in their hands. Squadron 42, called S42 by its fans and backers, is a single player campaign comprised of 28 chapters and over 60 missions to complete. It was originally a stretch goal for when the crowdfunding exceeded $29million but considering Star Citizen exceeded $180million in funding, it was a sure thing from the very beginning. The scope of this story is insane, with over 340 speaking roles cast, over 1250 pages of dialogue written and 50 ships designed. It feels as though every effort is being made to polish the fine details of Squadron 42 and every video released so far has supported that. 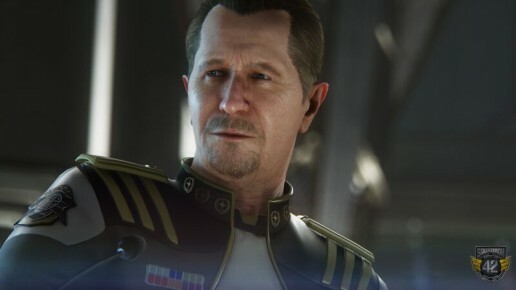 The main draw for a game like Star Citizen, and Squadron 42 is the space battles and dogfights. Wing Commander and Freelancer both delivered this, but with modern capabilities, you can expect a much more advanced physics engine, which will put your flying skills to the test. 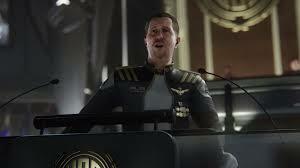 The aim of Squadron 42, is to complete the campaign and have your character achieve citizenship in the United Empire of Earth. Star Citizen has a defined class system where people do not automatically receive citizenship into the Empire just for being born there. 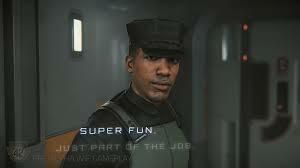 Players will find they have multiple options, they can opt out of citizenship altogether, perform civic duties, or join the military by playing Squadron 42, and by completing it, you are set apart from other civilians of the empire as an Elite fighter who served and earned their status. This is intended to encourage conflict and division amongst players so that there are different ways to play the game and different benefits for the choices players make. Citizens of the Empire will receive faster police response when they are chased by pirates and other threats and can enjoy the general protection that Empire citizens deserve. 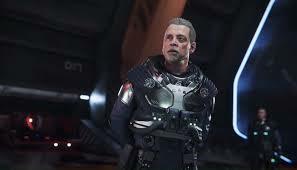 There will be alternative ways to conscientiously object to fighting and still become an Empire Citizen, but as far as we currently know, not in Squadron 42. 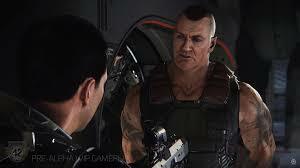 We do know that the story will be set in 2945 – after the events of Vega II. 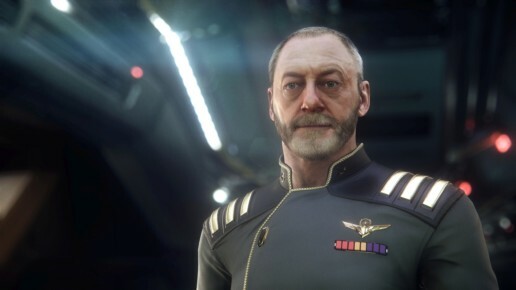 The player joins the 42nd Squadron of the UEE Navy, a team with a reputation for great success in turning ‘problem’ pilots into Elite units who favor unorthodox tactics and space combat. So far we’ve seen little of the story, beyond previews from 2015 where the player was serving on the UEES Stanton during a slightly unpolished video shows us a taste of the on-ship interactions. Due to various postponements, the game has missed its 2016 release date, there were rumors for 2017 and 2018 but no official date has been set, so we’re now hoping for a 2019 release.